Let us keep you up to date with developments in the world of video production, from advances in technology and it’s impact on the industry to current trends shaping the way we do business. Video production is a rapidly evolving field and we aim to bring you all the latest news. Drones Are Going Up And Taking Over! 2013 was all about rail shots and 2014 is set to be all about drones. 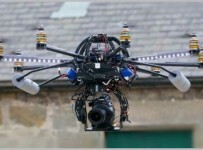 UAV or unmanned aerial vehicle or drones as they are more commonly known are able to capture footage previously only available from helicopters and even then nothing like some of the shots you see today. The internet’s number 1 movie database. Latest movie news and reviews. The professionals choice for storing and distributing video content.